The Leesa mattress has been very successful on the bed-in-a-box scene. I personally enjoyed my experience when I reviewed the mattress. 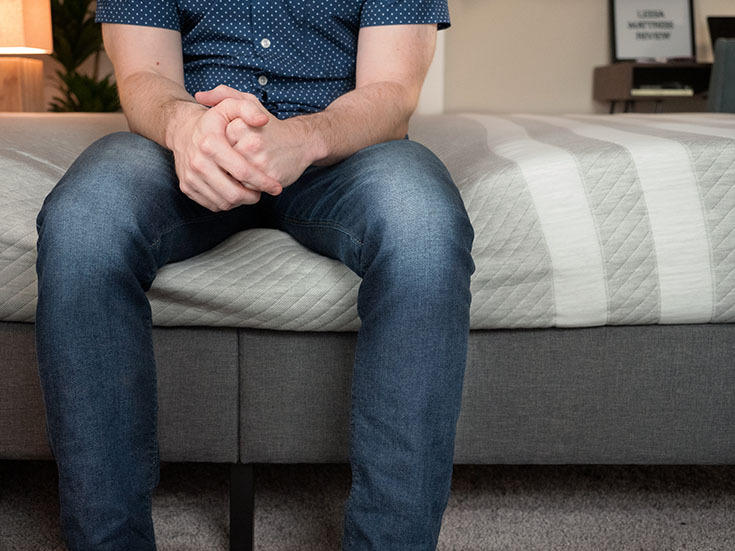 So, when I heard the company was changing their comfort layer so that it would be softer and more pressure relieving, I was excited to see how the new mattress would perform. After sleeping on the new mattress for a couple of weeks, I can say that it is a very comfortable mattress that a lot of people will love. Leesa is a very comfortable mattress that I think a lot of people are going to really like. You can get $160 off the Leesa mattress simply by clicking the link below. You are a back or side sleeper. The Leesa mattress has a nice balance of support and comfort. When I was on my back, the mattress supported me and conformed to the shape of my body. When I was on my side, the thick comfort layer relieved pressure on my shoulders and hips. You want pressure relief without feeling stuck. While the mattress does a good job of relieving pressure, it shouldn’t make you feel stuck. The top foam layer is responsive and has some bounce, so you should be able to move around easily. 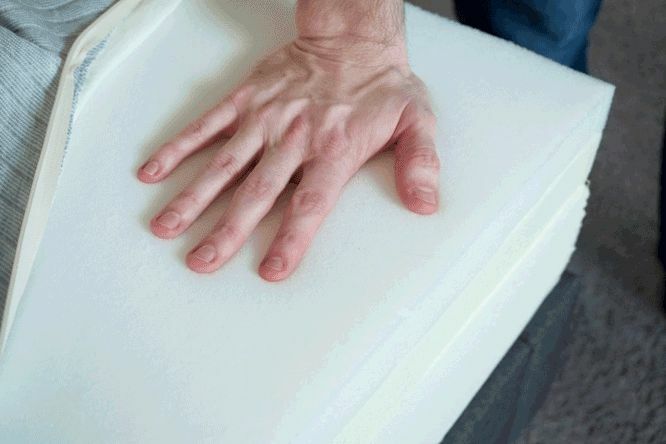 You want a foam mattress that won’t overheat. All-foam mattresses often sleep hot because the materials can trap body heat. However, the foams in the Leesa are breathable, so you shouldn’t be overheating at night. You are a stomach sleeper. If you sleep primarily in this position, the Leesa may not be firm enough for you. Stomach sleepers will most likely need a firmer, more supportive mattress. You like a very firm or very soft mattress. The Leesa is right down the middle in terms of firmness. If you like a mattress at either end of the spectrum, this might not work for you. You like an innerspring feel or classic memory foam feel. If you like the feeling of coils or the slow, sinking feeling of memory foam, the Leesa might not work for you. It has a balanced foam feel that is very different from what you’d find sleeping innerspring mattress or traditional memory foam mattress. The cover is soft with a sweatshirt feel. The first layer is 2” of a proprietary foam, LSA 200. Next, there are 2” of memory foam. Finally, there are 6” of a base polyfoam. The Leesa mattress is available in Twin, Twin XL, Full, Queen, King, and California King. The cover is not so thick that it interferes with the overall feel of the mattress. The top foam layer is designed to be breathable. You shouldn’t be sleeping hot on the Leesa. The LSA 200 proprietary foam is softer and should relieve pressure more than the Avena foam from the previous Leesa model. I definitely find it to be softer than the previous model. Since the comfort layer is 4” in total, most side sleepers should feel comfortable on the new Leesa mattress. Even heavier sleepers shouldn’t have to worry about “bottoming out” on this mattress. The design means it could be a good match for back sleepers. The comfort layer should conform to your body, and back sleepers should feel supported. The main difference between this new model and the previous Leesa model can be found in the top layer. The previous model had Avena foam in the top layer, and the new model has a proprietary foam called LSA 200. This new foam is designed to be softer and more pressure relieving than the Avena Foam. It is also meant to be more durable. I can’t speak to the durability, but the new model does feel softer than the original version. I do feel better sleeping on my side, and there is less pressure on my shoulders and hips. Just looking at these mattresses, they are quite different. The first thing to notice is their construction and materials. The Purple incorporates a unique hyper-elastic gel polymer in its comfort layer. The Leesa has a responsive, proprietary foam and memory foam in its comfort layer. Because of this, the mattresses have a very different feel. The Purple is firm, yet pressure relieving at the same time. It also has a squishy feel that unlike any other mattress. The Leesa has a balanced foam feel. In addition, the Purple should feel firmer to most people. However, heavier sleepers may think it is softer because they will activate the gel polymer more than a lighter person might. Most side sleepers will probably want to choose the Leesa. It should offer better pressure relief. Again, larger people might have a different experience. Both mattresses should be a good choice for back sleepers. Their feels are different, but both mattresses should give back sleepers the support they need. Stomach sleepers will most likely prefer the Purple. The Leesa might not offer enough support for those who sleep in this position. The Purple should be firm and supportive enough for the majority of stomach sleepers. Read my full Purple mattress review. The Leesa feels like a 6.5/10, about medium in terms of firmness. The top layers are quite soft, but the support layer is very firm. These combine to make the mattress about medium-firm. On my back, I feel very well supported. The top layers of foam conform to the shape of my body, and my hips sink in just the right amount. When I am on my side, I also feel very comfortable. I sink into the mattress just a bit and feel little pressure on my shoulders and hips. However, when I am on my stomach, I do need more support. The mattress has a balanced foam feel. The proprietary foam layer is very responsive, so I have no trouble moving around on the mattress. There is also a bit of bounce. Overall, you get the pressure relief of foam without getting stuck. All-foam mattresses are often very good at handling motion transfer. During my tests, I saw little disturbance. Also, when Marten moved around on the other side of the mattress, I did not feel it on my side. If you sleep with a partner, you shouldn’t feel their movements transfer to your side of the mattress and wake you up. This could be a good mattress for couples. While all-foam mattresses are great with motion transfer, they aren’t always the best with edge support. The Leesa is no real exception. Sitting near the edge, the mattress does collapse. Still, I feel somewhat secure. Lying down near the edge, I do feel like I might roll off the mattress. Edge support is not a highlight of the Leesa mattress. Joe said it was a 6.5/10 and I agree. It’s about medium in terms of firmness. Lying on my back, I feel very nice support. Usually, on a medium-firm mattress, I don’t get enough support. On the Leesa, I feel the foam press into my lumbar area, and I feel supported overall. When I am on my side, I press into the soft comfort layer, but not too far. I feel great pressure relief on my shoulders and hips. When I am on my stomach, the mattress is a little too soft for me. I am bowing in at the hips and getting out of alignment. If you are a heavier back or side sleeper, this could be a good match. If you are a heavier stomach sleeper, you will probably need something more supportive. Marten and I had similar experiences on the Leesa mattress. We both thought it was supportive when we were on our backs and pressure relieving when we were on our sides. That comfort layer is very thick, so even heavier people like Marten shouldn’t worry about bottoming out on the Leesa. It gives you the benefits of foam without you feeling stuck. The top layer of foam is soft but also very responsive. You should feel nice pressure relief while still being able to move around. It shouldn’t be a hot sleeping mattress. All-foam mattresses often have issues with overheating. You shouldn’t have that problem on the Leesa mattress. The top foam layers are breathable, so they should keep you cooler while you sleep. It could be a great option for back and side sleepers. The mattress is constructed to be both supportive and pressure relieving. Those who sleep in these positions should like the Leesa. 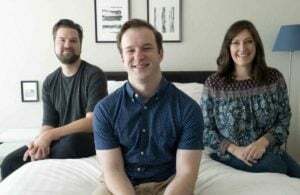 Leesa also made another site Sleepopolis’s top mattress list. Leesa is a bed-in-a-box foam mattress that I find to be on the higher end of the comfort spectrum. It has one of the best balances of comfort and support, and is actually very comfortable in all of the three main sleeping positions. At this price point, it's one of the mattresses I would recommend for the average sleeper. The Leesa is a bed in a box mattress, which means it will come compressed and be shipped straight to you. You will want to begin by removing the rolled up Leesa mattress from its box. Then, preferably with another person’s assistance, position the roll on your bed. Carefully cut the away the first layers of plastic until the still-compact mattress can be laid down flat. Then, pierce through the final layer of plastic and the Leesa will expand. Simply clear away the excess plastic and allow your mattress to breathe and fully expand. All in all, the new Leesa model is definitely an improvement. Especially when I’m side sleeping, I feel even better pressure relief than I felt on the original mattress. 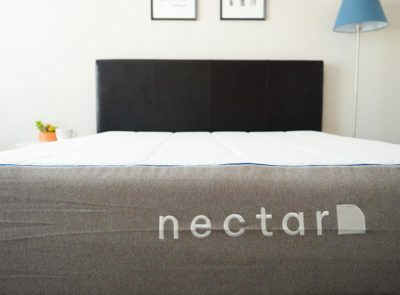 Most back sleepers should find this mattress fits their needs, but stomach sleepers should probably find a firmer, more supportive mattress. The Leesa mattress comes with a 100-night sleep trial, a 10-Year Warranty, and free shipping and returns. Financing is also available. 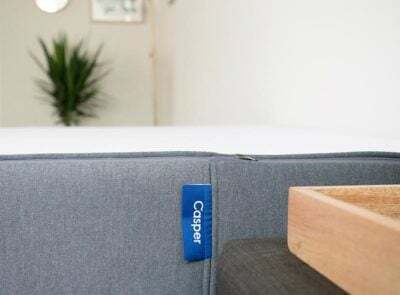 The company offers accessories and a luxury hybrid mattress, the Sapira. For every 10 mattresses sold, Leesa will donate one to charity. Having slept on an old mattress for years, I was excited to find one that was supportive without being too firm. I also love that the platform bed has a USB plug on both sides. The white glove delivery process, however, was unacceptable. The delivery men didn’t know how to assemble the platform, which then turned out to be defective. When I asked Leesa to help me reschedule the white-glove delivery of a new platform, they redelivered the same broken product – without notifying me – to my apartment without delivery men. It sat for nearly a week in my apartment lobby while I was out of town on a work trip. Not only did I then have to carry the platform up five flights of stairs and assemble it after paying for white glove service, Leesa gave me the run-around at every phase of the process. Ack! I’m so overwhelmed by all the choices. We’re looking to purchase a king size bed. Both my husband and I are side sleepers (I also sleep on my stomach some), and would like edge support as well. Currently we have an inner-spring mattress with a memory foam topper. The motion transfer is awful and he is always waking me up. Previously, we had a Sleep Number and loved it (but got rid of it because of mold in mattress). Our sleep numbers were generally around 40. We are both average size. I’m looking at the Tuft & Needle Mint, the Leesa Sapira, Layla, Loom & Leaf and the Casper (the Original Casper). I’ve read all of your reviews on each as well as other sites, and am still having a hard time deciding. Are there any make-or-break issues with any of those I’ve listed? Do you have a recommendation? Loom & Leaf is good for side sleepers, some edge support, and little motion transfer. A heads up that contrary to their claims this mattress sleeps SUPER hot. I’ve never had a problem in my life before but I wake up with my back on fire and sweating in summer since I got this mattress. If only we’d returned it before the 100 days but We just forgot we could. I’m hoping it’ll be nice for winter and then we’ll need to get another mattress next year. This also off gases for MONTHS! I am in the market for a new mattress and bed. I’m buying from West Elm, who also sell the Leesa mattress with their beds. Just read and watched your excellent reviews! I just have one concern: is foam chemically safe? I do worry about toxicity of the chemicals used in foam. What is your opinion? Take a look at Certi-Pur certifications and it will tell you all you need to know about the foams used in this mattress. I am curvy, 180 pounds, and a side sleeper. I have wide hips and a bad back that likes to be aligned when sleeping. I got a Casper, and it did a great job with the hips and back, but every time there was a wrinkle in the sheets or my sleeping shirt, I got sore ribs in that spot. I put a couple of sheets of soft convoluted foam on top, and it felt better on the ribs, but the back wasn’t so straight. I really like the “buried memory foam” idea (I hate sleeping right in it), but need something softer on the top. I’m trying just one layer of convoluted foam topper now, but I really want a mattress that doesn’t need to be modified. When I look at comparisons of, say, Leesa with Casper, some reviews say one is softer, some say the other. Any ideas for me? Below $1000. I personally think the Casper is softer, but people feel firmness differently from others. I’ve been sleeping on the leesa for about 2 months now, and I think it might be too firm for me. I’m a thin guy, about 140lbs and 6ft tall, and I sleep on my stomach and side. I have general lower back soreness, and it seems it’s been exaggerated since sleeping on the leesa, along with some other general hip soreness. I’ve been trying to determine if it’s the firmness, or maybe I’m weigh too light for it. With this the case, do you recommend other mattresses that might work better for me? I was looking at the loom and leaf, soft version? It seemed like the medium version would be comparable to the leesa. Thanks for any feedback! I would check out the Nolah or the Tomorrow Sleep Medium Firm. Both are on the softer side and should be good fits for you. Hi I realize it’s been a while since you reviewed these, but which do you think is firmer, the Leesa or the Casper? I’ve been sleeping on the Casper for over a a month and I think it’s too firm for me. I think the Leesa is a little bit firmer. Most people I talk to share that opinion. I’ve heard some people complain about a horrible (possibly toxic) odor. I called and spoke to Leesa person, who said that is the memory foam and it disippates after a few weeks. That is the thing holding me back. It is VERY comfortable! I tried it at West Elm. It goes away, so you shouldn’t worry about it. i feel like mattress size makes a difference with these box mattresses. Apartments in Los Angeles don’t always accommodate a queen, so we have a full size and after the first few months it’s gotten pretty miserable. We tried a few different toppers but after a week we go right back to hurting. neither of us are overweight, just think 2 people on a full isn’t what these were designed for. Does Leesa allow you to schedule delivery? I believe they ship it via UPS, so I don’t think there’s an option to work with Leesa directly to schedule a delivery. I sent this in yesterday but not sure it went through. Do you think a mattress topper would off set the heat retaining properties of a memory foam mattress? thanks. Are you referring to Leesa specifically? If so, the memory foam is not the top layer so heat retention of memory foam wouldn’t be an issue with the Leesa. I have a Sleep Number and consider it probably the best purchase I have every made in my entire life. I am a side sleep and like an extremely soft mattress. My girlfriend likes a firm mattress. With the Sleep Number I have my side at 25, she has hers at 55. There is no mattress that would accommodate both of us. I admit, it was MUCH, MUCH more expensive than anything discussed on this site. But having slept poorly for around 20 years, finding a mattress where I don’t wake up repeatedly at night to roll over, and always wake up in the morning sore it was well worth paying it off over 3 yrs. My boyfriend and I are trying to decide between the loom and leaf medium and the leesa. Both of us love the feeling of a soft mattress, however it looks like we need medium firm. We are both stomach sleepers, although we roll on our sides as well. I’m 5’3 and 120 pounds and he’s 6 feet and 180. We also have a 40 pound dog who sleeps next to us every night. I suffer from chronic stiffness in the morning, as well as upper neck and back tension and pain due to stress/desk job. We are looking for a mattress that 1. is very comfy while still supporting us as stomach sleepers. 2. corners of bed can hold up with two grown people and a dog. 3. Will help relieve my stiffness and tension. Which do you believe would be best for us? My boyfriend can sleep on anything except a really hard mattress and be comfortable. So we are more focused on best fit for me. I also last minute found the alexander signature medium, which sounded even comfier. However would it be too soft for me as a stomach sleeper? Or would it be more beneficial to my aches and pains? Thanks so much and Happy Monday! I think the Leesa would be a good fit. It’s comfy yet medium firm at the same time and a good fit for stomach sleepers in my opinion. I’m not fully happy with it. At first it feels great, but only on your back. I’m 6’1, 195… and I sleep on my side. I’ve been waking up with upper side arm aches. I’m gonna have to put a topper on this thing or return it. Not for side sleepers unless you’re ok with constant aching when you’re on your side. Your shoulder really will dig into this thing. Would you say the Leesa is good for side sleepers and good for people with chronic back pain? To me, it is firmer than average. For that reason, if you are under say 200 lbs. I think you might want something softer if you just sleep on your side. It should be good for people with back pain, but there are so many factors that go into back pain that I wouldn’t want to make a firm recommendation. Have you tried their Sapira mattress? My goal/need is for support, but without pressure points that often accompany really firm mattresses. I also don’t like the sinkage or give of a memory foam (temourpedic)–my years of sleeping on one of those were awful, so I’m wary of anything using memory foam. But this mattress sounds like it might be perfect. I’ve recently slept on a Casper and that was pretty good but with a little too much lower back/rear end sinkage while lying on my back. How does the leesa compare? Thank you for answering my many questions in one! I am a 140 lb male approximately six feet tall. I prefer a softer mattress, but still need support to keep my legs from falling asleep. I’m worried that this type of mattress will be too firm giving me the sensation of sleeping on top of a sand bag. Will it have enough give for someone with my frame? Firmness is pretty subjective and people feel firmness differently. Having said that, the Leesa in my opinion is a little firmer than average. Given your weight and height, I would say to look for something a little softer. do you need a box spring for the mattress and do you carry them? You’ll need to reach out to Leesa for this. Hi. We are thinking about buying this mattress, but I have a quick question. I like the feature of foam mattresses in regards of tossing and turning. My husband moves a lot at night and our old Healthy Back foam mattress was great because if he did move a lot, I did not feel it. Do you rhink this one will have that effect? It does a pretty solid job with that in my opinion. Got a nolah bed a few weeks ago and i think its great for sidesleeping but maybe a tad too soft. Im afraid of memory foams being too hot or too sinky-In feeling. Is leesa firmer than nolah but still ok for a 190 pound side sleeper? Other suggestions? Sapira too firm? Ghostbed too firm? Brooklyn bedding medium? Leesa should be a good choice. It’s a little bit firmer than Nolah but not by a ton. It sleeps cool too. I wanted to point out that you mention the give back that Nolah does (animals). Leesa also does some too – donates a mattress for every 10 they sell and donates a tree for every mattress they sell. Thought you might want to update the review to reflect that for a most fair comparison. P.S. your write up on best mattresses for side sleepers really helped – and these reviews on both Nolah and Leesa were so great! i ordered a Leesa bed a few years back, never received any followup to where the process of my bed. At first I thought it was a scam but after 5 days I finally received an email with apology. Few days later box was at my door. I never received any followups or any other emails from them. It’s like bed sold and case closed. I really like the bed however, their Customer Relations have to be much better. I want to refer others but now 3 years down and you have the same issue so I know that they haven’t fixed their service/after sales service. Will try out Casper as they also have this at EQ3. We are replacing two twin-long Tempurpedic mattresses which go on an adjustable base. We both like a firmer mattress but not a board. One of us is 5’10 and 250lbs and has to sleep sitting up—specifically the back is at a 45 degree angle and the knees are slightly raised. This, obviously, directs a lot of weight per sq inch on one area of a mattress. After about five years we got Tempurpedic to replace the mattress. Now, five years later, we’re looking for a cheaper alternative. How do you think the Leesa will perform over time when used sleeping at a 45 degree angle? Any other recommendations for a twin long on an adjustable base to accommodate a sleeper partially sitting up? Thank you for your excellent site! I will definitely link from your site to whatever mattresses I purchase. Honestly, I’m not sure about sleeping at a 45 degree angle since I’ve never done that myself. Wish I could be more helpful. I am looking at several mattresses. Would you please provide detail as to why you gave the Leesa a relatively low rating for materials/durability? I have an air bed, similar to a number bed, and this is my second. Has anyone compared the Leesa with an adjustable air bed? Not to my knowledge, did you have an air bed comparison in mind? Hi! Hoping you can help with a mattress recommendation. Thank you SO MUCH for all the reviews on your site, they’ve been super helpful. My husband and I have an old spring mattress we are replacing because it’s getting saggy. I have had major low back issues for years and I wake up so stiff and feeling worse first thing in the morning than I did the night before. I did a ton of research and decided to order a Leesa mattress. 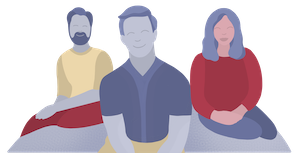 It was great for my back, but sleeping on my side my husband and I both found it just a little too firm – a little pressure points on the shoulder and hips. Just a little hot too which surprised me given the reviews. We both liked it, but didn’t love it, which I really wanted if we were going to be shelling out almost $1000 on a mattress. SO – we then ordered an Amerisleep Liberty, which we’ve been sleeping on for a few weeks. On first impression I loved it – super comfortable when I first lie down, super comfortable on my side, BUT I’m starting to have more and more back pain again, waking up feeling stiff and having trouble rolling over by halfway through the night and the morning. Not hot at all, which was good though. So long story short, the Leesa is sitting in our hallway, we’re about 60 days into the trial. The Amerisleep is on our bed, about 2-3 weeks into our trial. We’re going to try the Leesa again I think (haven’t returned either yet), but wondering if you have recommendations for something else in between the two to try. I feel a little like Goldilocks trying to find the mattress that’s “just right” but since the Liberty is about a 5 for firmness and the Leesa is a 6 on most sites (7 on yours) I’m feeling stuck knowing what to look at next. I sleep on my back and sides, my husband sleeps on his sides but sometimes on his back or even stomach. We’re looking for a queen, $1000 budget give or take. I so appreciate any advice you can give! Hi Sarah – did you prefer the feel of the Amerisleep or the Leesa? If you like the Amerisleep feel, I’d say maybe go for a slightly firmer mattress in the same line. I’m 130. Really prefer a firm mattress. Have ECO, natural bamboo now. Time for a new mattress. Been reading reviews all morning . . .Leesa, Casper, T & Needle. . .not sure. I sleep back, side, tummy not often. Cost? Should I buy direct from site or I’m reading many go Amazon. Discounts? Which mattress is best? I am approximately 200 lbs. but my wife, on the other hand, is closer to 95-100 lbs. Would this mattress work for the both of us? If not, is there a mattress you recommend? 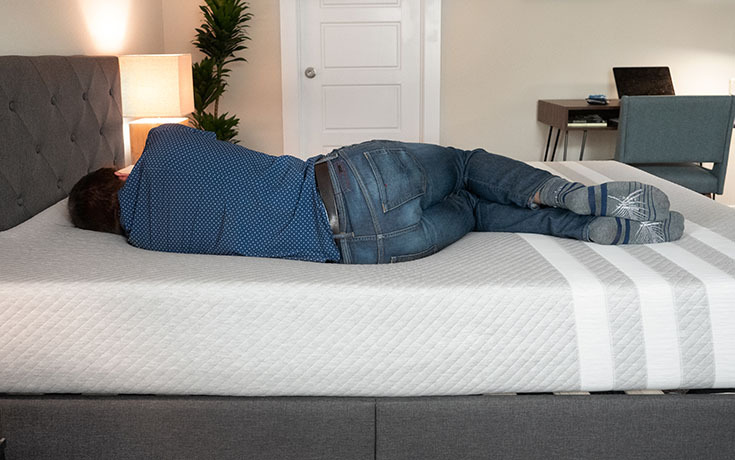 Hi John – it could work for both of you, but note it will feel very differently for each of you due to the weight difference (true for any mattress that’s not split though). Trying to decide between Saatva and Leesa. We have a King Sleep Number with an adjustable base now (13 years old so it’s time to change). I liked it at first but have been experiencing hip and back pain no matter what number I’m on. My husband is 6′ 250#, sleeps mainly on his side but flops around a lot and gets hot, I’m 5’6″ 145# and also a side sleeper but will occasionally wake up on my back. We would like to keep our adjustable base. Which would work better for us? Hi Peggy – both can work with an adjustable base. Really big difference in feel between these two, which comes down to your preference. I’d look at my firmness/feel videos to help make your decision. I happened to buy a Leesa that was a returned mattress donated to nonprofit agency store. Luckily I only paid $50. My first impression was it was a cheap knockoff foam mattress. At the time I hadn’t heard of Leesa. I like the woven cotton cover which is good quality. The mattress profile is too small and did not look good on my bed. The matress gave me horrible back pain and stiffness. It lacks support needed for most adults but fine for children or teens under 150 lbs. There is no side support when sitting or getting in and out. I now have a Performa Sleep mattress. The quality is far superior to the Leesa. The Performa is thick and solid. The Leesa does hold heat and best used with cotton blankets. The Performa is cooler than the Leesa and no heat issues. I would not recommend Leesa with so many better made options available. Hi Paris – yes I believe Ghostbed is designed with heavier people in mind. It does have more of a latexy feel, though Leesa has some bounce to it as well. Thanks for the review. Very helpful. I’ve had conventional pocket-sprung mattresses; usually quite firm but as I get older and find my sleep more disrupted from discomfort, I’m looking at memory foam options. The 100 night trial and your review makes the Leesa a very tempting proposition. Anything to say on the subject. Hey Duncan – lol for the cuddling, memory foam is not going to be great. A bed like Leesa (with a bit more bounce) will definitely be better, but still not as good as an innerspring mattress. Hi Paris – they’re both great options, just different feels – really comes down to preference! I would really look at the feel videos and see if one resonates with you. We need a memory foam mattress for a sailboat that needs to be trimmed a bit to fit. Would this one work to cut two of the corners angular to fit our built in bed? Hi Lynne – I’m not sure how this (or any) mattress would hold up if cut, sorry I can’t be of more help! I’m a larger guy. Only 6’1″ but 240 to 260 lbs.and not a stomach sleeper and don’t share my bed often. Would you recommend a Leeza for me,if not what would you recommend. Thanks Darrell. Hey Darrell – I’d start with my best mattress for heavy people page, let me know if you have any follow-up Qs. Hi Joe, having a difficult time deciding which mattress to go with. Especially hard since I can’t try the online ones out before buying. I did go by a local furniture store and loved the medium firmness of the sealy posturepedic memory foam bed. Of the main competitors (leesa, tuft, Casper, etc), would you have a guess one which one would match that firmness? Based on what I’ve read here and elsewhere, leesa might be the way to go. But correct me if I’m wrong. Thanks! Is the Leesa mattress more of a greener option for memory foam beds? One one site it says they use “plant” based foams. Although I couldnt find that info on their home site. To my knowledge, they do not use plant-based foams. Thanks for your helpful review. 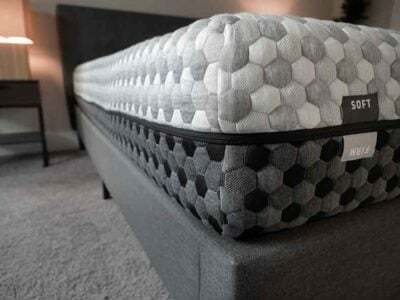 My husband and I are looking to replace an old lumpy spring mattress and are trying to decide on between the Helix, Leesa and Tuft and Needle. My husband is a back and side sleeper and I am a side and stomach sleeper. He is 5’8 and 160lbs and I am 5’0 and 125lbs. We both sleep hot and prefer a medium to medium firm mattress that does not sink too much and provides support. Any suggestions? Hi Alison – of those three I’d say Tuft & Needle might be too firm, other two would be a great fit based on your description! I have ordered the Lessa mattress and have slept on it 30 or so days. I am not loving it as I think it is to firm for me. I agree with Joe, it is hard to determine if you will like a mattress if you cannot try it out before purchasing. My husband is also heavier and also does not love it. Since the purchase he has been to the chiropractor 2 with a sore back. Not sure if this is due to the mattress but the timing of it is suspicious . I have a airbed , not a mattress its like a sky chair It is suspended from the ceiling. So Its a slatted platform 6 feet up. It is really like a swing but it is the most serine feeling rocking you to sleep but I desperately need a mattress that is worthy. would love to test some out so if you have any I can ‘evaluate’ I can give a very unbiased review being I am looking for the twin sized comfort for the most relaxing natural way I have ever slept. Rocked to sleep as it were, and yes, there is really something to be said for rock a bye, its incredible. The Leesa we purchased is very hard and smelly. Our previous bed was a Sealy Posturpedic pillowtop that we added a 4″ memory-gel foam topper to. We need a softer option than the Leesa. I find myself sleeping on our old bed in the spare room because the Leesa is so hard & the smell from the Leesa is very strong & has not dissapated after 2 weeks. We are older (52y/190lbs & 63y/230lbs) both of us have low back disc issues. DH is a side sleeper & I am a back & side sleeper with shoulder problems. I don’t know what to try after we return the Leesa. Any thoughts? Thank you for your site! ! Hi Christine – thanks for sharing your experience, sorry it hasn’t been pleasant! I didn’t notice much issue with the Leesa smell, especially after some time, are you particularly sensitive to smell? Could be a few other manufacturing/inventory issues as well. What appealed to you about the Leesa? If you want a similar feel but want something slightly softer, I’d check out the Love & Sleep, Casper, and Lull as starting points. I’m a side sleeper (senior with mild arthritic hips). My current mattress is firm but too hard and I wake up all night with hip pain forcing me to switch side to side. What are your thoughts for me? Does Leesa only have one mattress composition? Or soft, medium and firm? Thanks. Hi Phil – Leesa only has one firmness, at what I consider a medium firmness. This can be good for a side sleeper (it was in my case), but some side sleepers will prefer a softer mattress, really depends on your preference. Can you please explain why this mattress lost points for Materials/Durability? I see nothing but positive statements in the review. Thanks! The density of the memory foam is a little on the low side. My Lissa mattress is coming tomorrow and I am quite excited about it. One question – do I encase the entire mattress with a cover or just use a mattress pad under the sheet and comforter? I want a “luxury” mattress – that is great for side, back sleepers, that is not hot, & great for persons with neck & back problems! I’m 6’2” & weigh 235lbs. Hi Joe! Thanks so much for your site. It’s been super helpful! After lots of research, I went with the Leesa, but I just had to return it. I was waking up with numbness and tingling in my shoulders and arms. Bummed! So, I’d love any advice you can offer on where I should start looking next. I’m a side sleeper, though I do a little “rotisserie” turning throughout the night. I like the feel of the mattress coming up to hug me/offering contoured support, and felt the Leesa didn’t do that quite enough for my preference. However, I also want the support of memory foam, just think I might need a softer top layer than the Leesa to accommodate my shoulders while also supporting the curve of my waist in the side position. I’m 5’7,” 155 lbs. and “curvy” so need good contoured support. Thanks so much for your help! 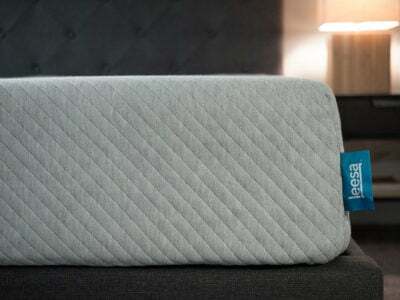 Hi Elisa – I’d start with my best mattress for side sleepers page, let me know if more recommendations would be useful! We have a platform bed and would prefer a very firm foam mattress What do you suggest? If you want very firm, it’s probably good to look at some mattresses that have a few firmness options, then go with the firm model. Loom and Leaf, Helix, Amerisleep, and Novosbed are some of my favorites with firm models available. I’m 6’1, 240lbs. Will I sink to much in a Leesa and also I sleep on my side as does my wife. She is 5’2, 140lbs. Any recommendations? Does this matress still preform well if it’s on the floor with no frame or box springs? Hi Savanna – yes will be just fine on the floor (in my opinion). Hi Melissa – sounds like motion transfer is a #1 concern, I’d stick with a very high quality memory foam mattress. Check out my top picks here. Great reviews. I, like most of the commenters here, have been doing research for a while trying to pick the best mattress for me. Just when it seems like I have the decision narrowed down I find more reviews to widen my selection. I’d love your advice. I have a spring mattress (pretty firm) but have been using thicker foam toppers for years. I’m 5”5’ and about 155. I sleep side and back, and sleep hot. And have some lower back pain. I had been considering a tempurpedic (have some co-workers that swear by them) but they are quite pricey. I (think) I’ve narrowed it down to Leesa, Loom and Leaf, Helix, or Novos. They all sound great. I don’t want a lot of sinkage but don’t need a lot of bounce. The reviews I’ve read (here and elsewhere) hit all the marks I’m looking for. What are your thoughts to help me narrow it down? Hi Deb – All good choices. If you want relatively more bounce (sounds like you don’t), go with Helix or Leesa. Loom & Leaf and Novosbed are both a pure memory foam feel. Between them – it’s a hard choice to make. If you want a very soft mattress, I think Novosbed soft is the way to go. For medium, they are very similar, but personally I preferred L&L. If you’re worried about the exact firmness, Novosbed Comfort+ guarantee is pretty unique in the industry. Even though it is a bit more expensive I think I’m going to go with the Loom and Leaf (not sure on the relaxed firm or firm – I don’t want it to feel too soft in 3 years). I’ll share my decision points in case it may help another make a decision – your thoughts are more than welcome too. I chose the L&L over the Helix after reading through the details in the warranty. L&L indentation criteria for replacement is ¾” (Helix and Leesa are 1” ). L&L just seams simpler though you pay a prorated rate after 2 years to replace it. 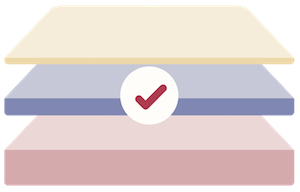 Helix states you have to pay (both ways) to send it back for repair – they will reimburse you up to $100 IF the mattress is found to have a defect, and they can choose to replace JUST the defective part/layer. 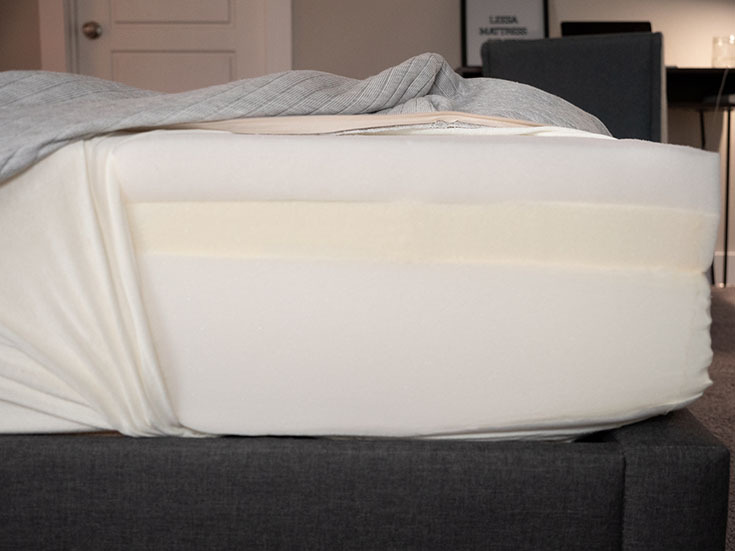 The Novosbed sounded pretty good with the availability of a softer or firmer topper, but my concern is the topper would wear down much sooner that the bed. L&L is described as firmer than the Leesa. L&L is described to sleep cooler than others. I feel like I’ve been doing all sorts of research and all these “foam” bed that ship in a box seem to be pretty similar. My husband is 240 lb and I’m 130 lb. we both suffer from bad backs and could use some support. He sleeps on his back and side and I’m a side sleeper. Is there one you would recommend. We live in NYC and I think I can try out Leesa and Casper. Another friend recommended Tuff and Needle. Would appreciate your recommendation! Leesa and Casper do have pretty similar feels, and definitely very similar marketing campaigns. They both offer good support, so I’d say try one out! If you’re in NYC you should stop by the Casper showroom to see if you like the feel. What kind of bed do you personally own and would you let your children,or other family members buy a Leesa? Hi Aaron! At this point I’m always rotating mattresses for the site. One of my good friends does have the Leesa I reviewed ;). We’re sleeping on a sleep number bed. I wake up with back pain every morning. But this happens to me when I travel too. Although I have more pain on the sleep number. My wife has no issues. I’ve tried the bed at all different softness levels. We’re both side sleepers. I weigh about 140 and my wife about 120lbs. I was looking at Purple and Leesa. What would you recommend? Any of these or another? Hi Iqbal – Purple and Leesa are both good for side sleepers – though I especially liked Purple’s pressure relief. We TRIED to purchase Leesa mattresses – 4 at one time for our business and at least 8 more for the future. I had a question and emailed Leesa support. After 5 days I had no response from “support”. I had to go on facebook to complain before my email was opened. It was only then that I received an email and it was too late. We went to another manufacturer. I received an apology and an excuse that our email was “lost in the shuffle”. My initial response when we never heard anything from our email was that if the customer support was nonresponsive BEFORE the sale, what would it be AFTER the sale. We certainly couldn’t run OUR OWN business this way. We never got a chance to try the mattress and it MAY be the best mattress in the world but when customer support is non-responsive, that’s a big RED FLAG and I am glad we went elsewhere. Sorry to hear that, interesting I usually hear the opposite about them! Who did you end up with? Is leesa a good choice for a couple -one with about 180 pounds and other with about 120 pounds? Leesa did well in my motion transfer test, and I think is good for those weights (I’m about 160 lb, so somewhere in-between, but it was a good feel for me). Ive been looking for a mattress for about a week already and i usually research before buying anything and checking out reviews and need up in your site. My budget is around $750 max for a full sized bed. From all the different sites that I’ve gathered….its always different but the 3 top names that fit my budget so far is Leesa( usually #1 from what I’ve seen so far), ghostbed and Lovebed by the Nest. the others are helix and purple. I will have a platform bed without a foundation. I’m 5’6 150lbs and i usually workout and have broad shoulders but thin hips. I’m a modified side sleeper because I sleep in a “sprinter” pose that one leg is straight and the other one is bent. So with the weight and position of sleeping to consider…i don’t want to be sleeping sideways but feel like floating since i’m too light. Since this is what you do, I hope that you could help me out. Ive never owned a great bed because usually i have a $100-200 mattress and just put a memory foam topper. Hope to hear from you. thank you very much. and if its not too much, any suggestions for a side sleeper pillow? thanks again! Hi Michael! You have some great options there, all good mattresses for side sleepers (and perhaps adjusted side sleepers haha). Out of those, I think Leesa is perhaps the best if you’re in any sleeping position, but since you’re not a stomach sleeper at all that may not be a great benefit. Firmness is a big factor to consider, but Love Bed has two options and Helix has customized firmness, so it’s hard to compare across all of them. All are very reputable companies, and these are all amongst my favorite mattresses, so I don’t think you can go wrong! But yes a difficult decision for sure. For me, Casper or Leesa? Or other? In your opinion. Having a hard time choosing. Spent the last 6 hours trying to figure something out, but I’m not expert. I’m 130lbs and 5’10”. Sleep in all positions. Previously had memory foam and liked that. I’m a fan of the sink a little, but not too much. However, I’m quite skinny and I’ve read that a lot of mattresses won’t give me that feel because I’m a scrawny dude. I sleep fairly hot, and would like something that would keep me cool as well. I guess on the standard scale, I believe I’d prefer a 5.5-6? Hard to say. Not sure what other info to include. Thank you for any advice in advance! Hey Dustin! You’re not going to get much sink-in feel with either of those. I think maybe a little bit more with Casper, but with that weight generally you’re going to feel like you’re sleeping on top. I think both do a decent job of sleeping cool. Big other thing to consider is sleeping position – I think Leesa does a better of job catering to all the sleeping positions, while I don’t think Casper is great for stomach sleepers. why is it called leesa? Can you comment on the comparison between a Leesa and a Bear? They seem very similar in many ways. My husband is 6’4, 150 lbs, I am 5’9″, 195 lbs. He is a stomach sleeper, I am a side sleeper. This would be our first memory foam mattress. Thank you! Hi Jennifer! Assuming the Celliant technology in Bear isn’t a draw for you, they are quite similar and do have very similar feels. I think the Leesa is slightly better for a stomach sleeper than Bear due to the feel, so for you two of these two options I think Leesa would be better. Hello, I’m having a very hard time deciding between a Leesa or a Lull mattress. They both seem to be of very high quality and are close in price. So I’m looking at a queen size…I’m 6 ft and weigh 200 lbs and my wife is 5’6″ and weighs 140 lbs. She likes something a little less firm. I like a more firm mattress. So given that information, which of the two would you recommend? Thanks for the help. Seems like you two might not like the same one given your different preferences. I would say the Lull is a bit softer than the Leesa, but that’s a bit subjective. It seems like you would maybe like the feel of the Leesa more, while she might like the feel of the Lull more. It’s a tough call because of this.